I’m back with another travel related post! I promise I’ll have some outfit and beauty posts this week but for now I’m talking about the next leg of my trip – Amsterdam! 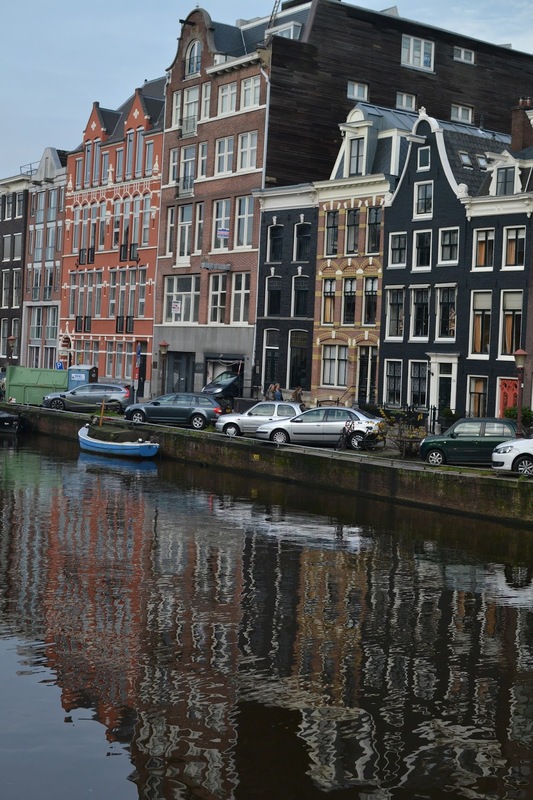 I was only in Amsterdam for a short amount of time but in those three days I really grew to love it! The above picture is of the Amsterdam Central station at night. 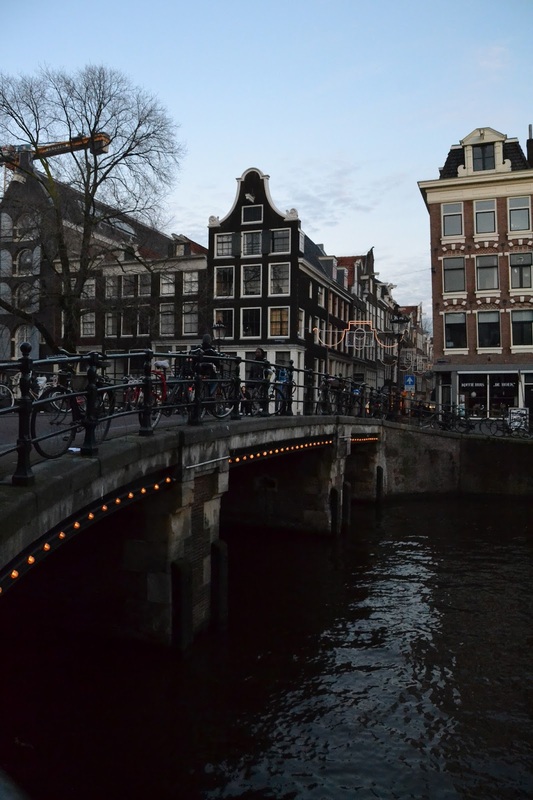 We were lucky enough to be in Amsterdam during the festival of lights, which I’ll touch on later! The first day I went to the Rijksmuseum, which was amazing! If you’re in Amsterdam I would definitely go there. It’s huge so you could really spend hours there. I really enjoyed getting to learn about the Dutch culture and history as it’s not something I’m really familiar with. They’ve got some stunning Rembrandt paintings (obviously) but it’s really got a good mix of every type of art. I then wandering around the city for a while (ok… all afternoon). I was by myself as Shane was visiting a friend in Antwerp so I let myself get lost exploring the canals. Shane and I met up that evening, grabbed some kebabs and on accident ended up wandering the red light district! But I guess you have to see it once if you’re there, right? The next day was just as excellent. Shane and I switched hostels in the morning because we didn’t like the one we stayed in. 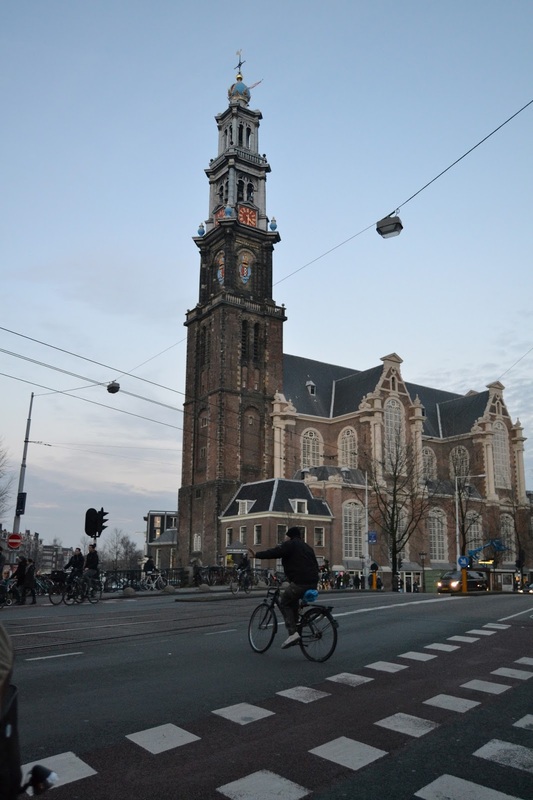 So, we switched to the Flying Pig – Uptown, which was really close to the Rijksmuseum. It’s a really inexpensive hostel with a very cool vibe. I met a lot of cool people in the lobby and it was overall a pretty great atmosphere. We then ventured to the Albert Cuyp Market. Thanks to Ilse for the suggestion! It had a lot of really interesting food and clothing stalls. I got a chocolate covered stroop waffle, which was aaaaamazing (as I’m sure you can tell from the photo). That afternoon we headed to the Van Gogh Museum, which was incredible! We didn’t get there until late so we didn’t have a whole lot of time to explore. Note to anyone going: It closes at 5! But then we walked back while it was raining through the Rijksmuseum and ice skating rink they have set up during the holidays. It all was so beautiful. It’s hard to pick a favorite day on the trip but the last day in Amsterdam was definitely one of them. A friend of mine, who lived in Amsterdam for a year, suggested we take a ferry over to Amsterdam Noord. It’s a borough of Amsterdam but it’s separated by water so the only way to get there is a ferry. It’s full of charming houses, markets on Wednesdays, and beautiful parks. We wandered around for most of the afternoon until we decided to find De Ceuvel. 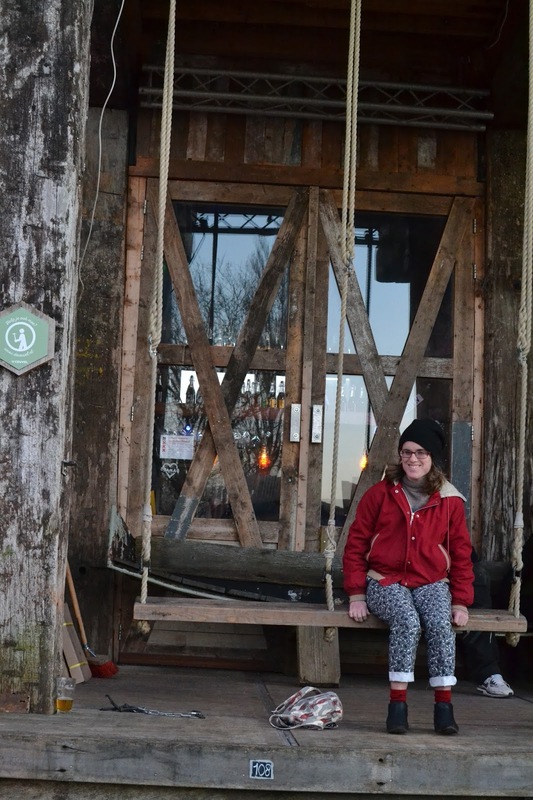 De Ceuvel is a very cool area of Amsterdam Noord where they refurbished houseboats that now hold various businesses. There is also a delicious cafe that has all locally grown, organic foods! The cafe is also built from all recycled materials so it’s got some really interesting architectural aspects. The Cafe is trying to become 100% self-sufficient, which I think is incredible. I would definitely recommend checking out De Ceuvel if you have the chance. That evening we took the ferry back and I went on a tour of the festival of lights! It was wonderful. The festival of lights only happens for 2 weeks during December but it is definitely something to check out. 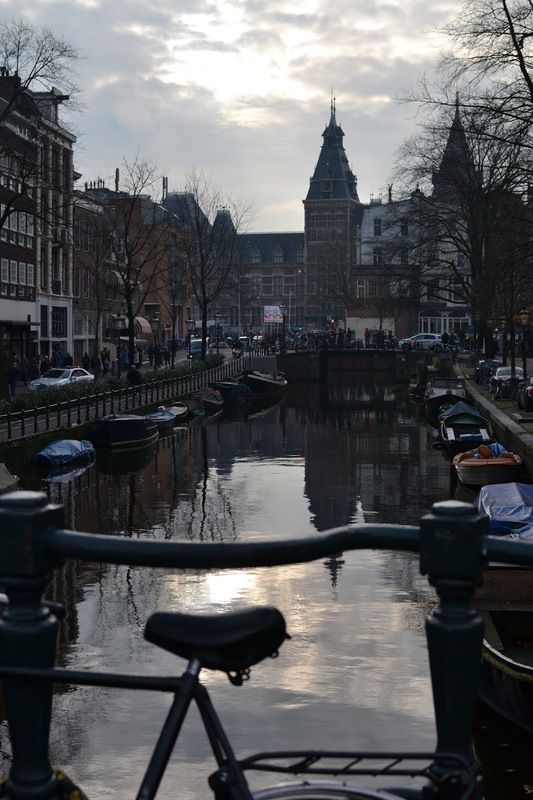 Artists from all over the world submit artworks and the winners get their artwork on display in and around the canals! I hope you enjoyed this rather long post!